OtoSome - Not just launched the latest generation of Honda Civic course, on the mat JIExpo IIMS 2016, booth PT Honda Prospect Motor also enlivened by the presence of new faces on the model of the Honda Brio Brio Satya and Brio RS. 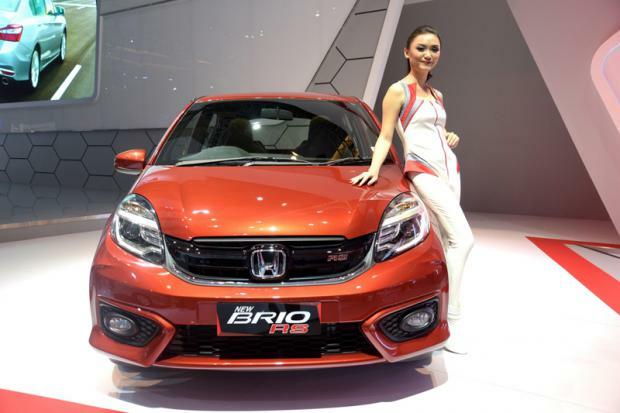 With the launching of two models refresher Honda Brio, consumers getting more choice and varied in accordance with the desire and the need to meet the lifestyle of each. According to the narrative of Jonfis Fandy, as the Marketing & Aftersales Service Director PT HPM revealed that New Brio RS deliberately designed to target young consumers who want style with a more sporty performance vehicle. As for Brio Satya, giving a touch more creamy taste to consumers with quality cars and has high fuel efficiency, including the selection of deals with CVT transmission. 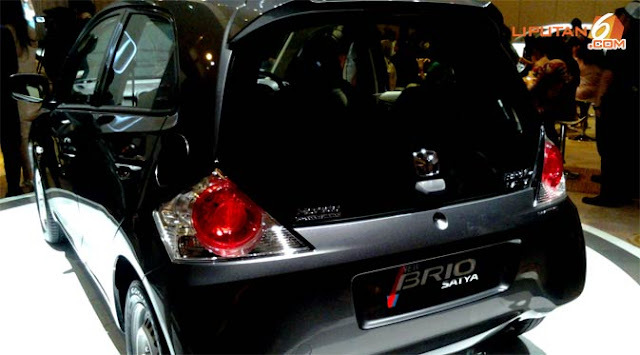 For New Brio Satya, has been swathed in the concept design of the front bumber and front grille with a new model. Meanwhile, for the chrome grille, 14-inch alloy rims have also been updated. More fresh touch is also given to the stylish tailgate spoiler, body color door handles and door mirror body. Brio Satya interior side of this ivory interior color, ECO indicator, double din CD Audio System, digital A / C, day / night rear view mirrors, tilt steering and power door mirrors. Then to the model Brio RS, Honda gives the concept with all the features Brio type E M/T and CVT is also equipped with additional side under spoiler, projector headlamp with LED guide, power retractable door mirrors with LED Turning signal, rear glass garnish, side sill garnish and 15-inch rims with RS emblems plastered. Then for the interior or the cabin space, has been given a touch with the concept of black interior color with orange stitch. Complete with a 6.2 inch touchscreen display as an audio video system that can be used for entertainment media and be able to enjoy all kinds of file formats such as DVD, CD, and USB. In addition, the device is also able to connect to the iPod and iPhone as well as the Tweeter Speaker. The price itself varies from Rp 129,6 millions - Rp 149,6 million variants of Brio Satya and Rp 159,7 millions - Rp 174,7 million for Brio RS variant. The engine is equipped with circuitry i-VTEC 1.2 liter.